Notebooks (also known as laptops or netbooks) are becoming very common place. 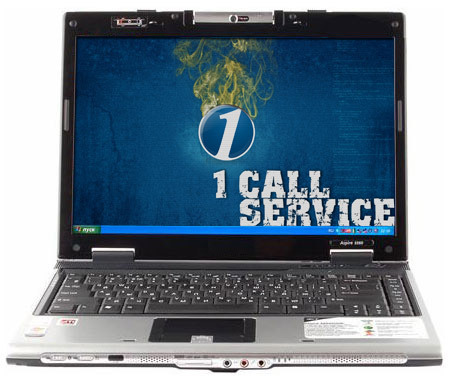 As a result, computer notebooks get beat up in everyday use and will often require maintenance more often than a desktop. You can expect the same level of knowledge and service for your laptop as your PC. Computer Repair Carrollton is dedicated to getting your laptop or notebook back up and running and making you mobile once again. Laptop components fit into such a small space that over the course of regular use, wires and cables can become unset and move around. When you start up your laptop and you hear a weird noise, there are normally two reasons. Your hard drive is beginning to fail and is having a hard time starting up. One of your wires has come loose and is brushing against a fan. For #1, the best solution is to make a backup of your hard drive and buy a new one. Most hard drives are built to the same specifications, so they will fit into the same location on your laptop. For issue #2, you will need to get into the inner workings of your laptop and move (or re-seat) the loose wire. If you feel like these solutions are over your head, give us a call at 972-418-2000 and we can do the work for you. There are a couple of reasons why your screen would be black while it’s turned on. Look at your laptop screen for any signs of cracks or damage. Did you recently drop your computer? Second, if you have access to a monitor, hook it up to your laptop and see if the screen shows up there. If it does, you know your video card is OK. While you can replace the screen yourself, it’s a pretty labor intensive process, the involves removing the casing of your laptop and that can sometimes cause more damage. We recommend you contact us at 972-418-2000 to schedule a time to bring your laptop in for us to look at and repair for you.